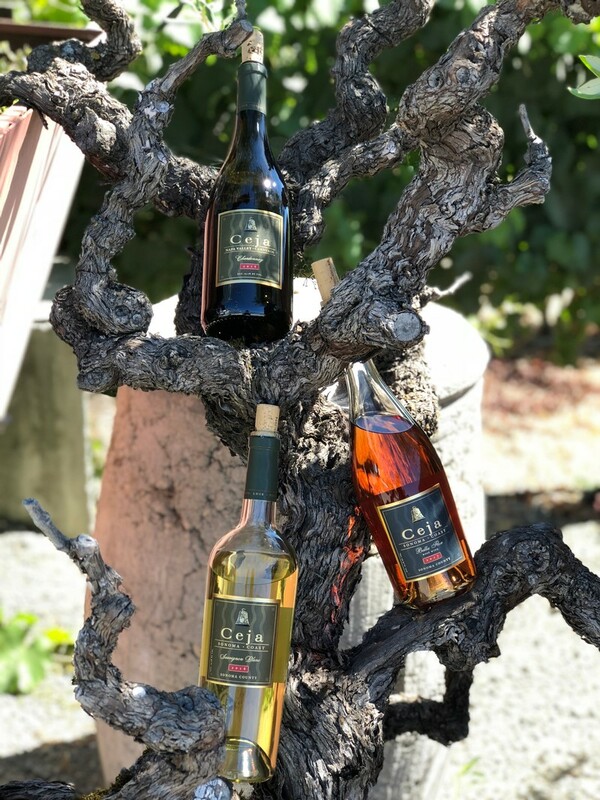 We are delighted to share our newest vintages to the Ceja portfolio! Introducing our: 2016 Chardonnay, 2017 Bella Flor Rosé and 2016 Sauvignon Blanc -- the perfect compliments to the warm summer months paired with your favorite dishes! Crisp, clean and refreshing, this is one of our signature white wines! Our Chardonnay opens with bright apple, citrus blossom and honeysuckle aromatics followed by notes of lightly toasted hazelnuts. Rounded and silky on the palate, flavors of pear, white peach and citrus are underscored by juicy fruit and mouthwatering acidity. Subtle toasted oak notes add spice and richness to the long, focused finish. Yes way rosé! Our Bella Flor (beautiful flower) rosé is elegant and cheerful with vibrant aromas of rose petals and subtle hints of strawberry and berry. Bursts of fresh pomegranate and deep raspberry drive the palate. These flavors are balanced with a silky mouthfeel and uplifting acidity. My definition of the ultimate "patio pounder." The last few weeks in Napa and Sonoma Valley has reached a scorching between 80-90 degrees and this has been one of my go to wines to refresh the palate. Our Sauvignon Blanc highlights a classic profile of citrus blossom, tropical notes and green apple aromas. Crisp on the palate with layers of tropical fruit, lime zest and a creamy texture. Browse our entire wine shop today and stock your cellars with our newest wine releases. Happy summer sipping amigos!